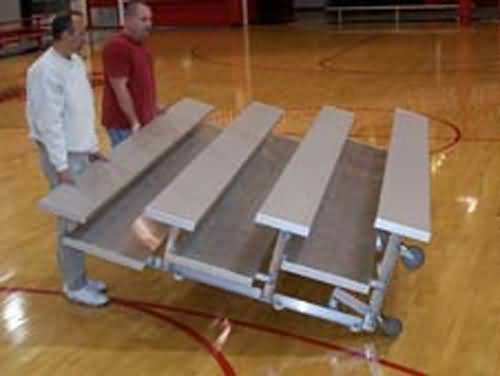 Looking for bleacher seating for sale? Then look no further we have exactly what your looking for, American made, easy to assemble, quality merchandise thats built to last! Aluminum angle understructure, 11-1/2" first row seat height & 6" rise per row,2 X 12 anodized aluminum seat plank ,Double 2 x 10 mill finish aluminum foot plank, 5" casters with non-marring wheels, Non-marring rubber foot pads. Bleacher comes standard in plain aluminum finish.